When selection comes knocking, who’s answering? Should transformation be the goal? Tape for you injury or tape for your mind? SA Men face Germany in opening World Cup game! Playing overseas, is it for you? African Cup of Nations 2013 - What's going on? South Africa men’s hockey team midfield dynamo Austin Smith is riding the crest of a wave. 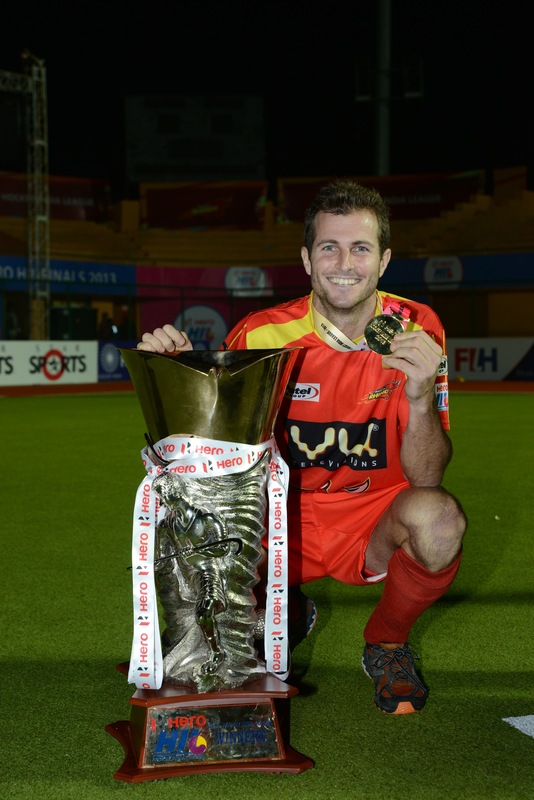 Fresh from winning the first-ever Hockey India League (HIL) with his franchise team the Ranchi Rhinos, the Western Province playmaker can’t wait to get to Rio de Janeiro to join his green and gold SA teammates for the World League Round 2 event in the Brazilian metropolis. “I cherish every moment I play for South Africa and as our men’s programme has been limited in the past year I’m looking forward to getting back into the green and gold and qualifying for the third round [semifinals] of the World League,” Smith said from his home base in The Netherlands Wednesday, where he plays for Den Bosch in the world’s toughest club competition, the Hoofdklasse. The London 2012 Olympic Games SA captain has led his country 62 times from a national record 109 test match caps but will not be skipper in Rio, the job going to Rhett Halkett of Northern Blues – and he says it is always an uphill battle for the sponsor-less team when it comes to preparation for big tournaments. With the first match, against Brazil, next Wednesday, there are a few days for the team, who arrive in Rio over the weekend, to settle in. Smith, who has a club game on Sunday, arrives from Europe on Monday morning, which will give him two days with the team before Wednesday’s WLR2 opener. And what was the HIL like? Smith’s many fans will be hoping he can transfer the Midas touch to the SA team in Rio.